Have you ever wondered why some blogs have thousands of followers? I know I have. I recently set out to discover why this was the case and found that social media was the key. In a 2016 survey of 500 US employees in diverse companies, it was found that 93% of respondents thought that CEOs who actively participate in social media can build better connections with customers, employees, and investors. You might be asking why. Well, it is believed that social media actually produces the most referrals or traffic for websites. Apparently, this has been the case for quite some time. Believe it or not, social media actually beats out direct traffic and traffic from search engines. Pinterest can actually be used as a search engine these days. Also, many businesses use Facebook to promote their sites. How? Because their readers share their content. At times they share your content even more than you do! 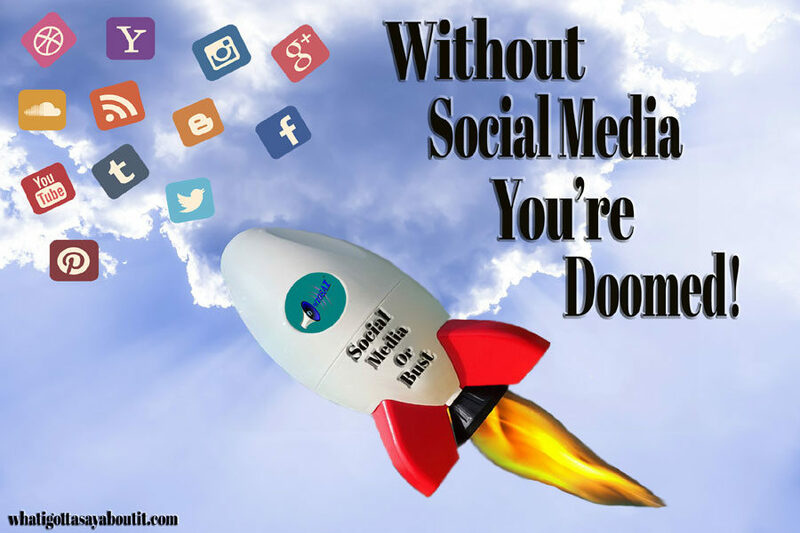 So, if you want to get noticed online you have to develop a social media plan. In case you were like me and never heard of these concepts, let me explain them to you a bit. When I first decided to blog over at What I Gotta Say About It, I didn’t have a clue where to begin. So, I did what I always do, I took to the internet to expand my knowledge. I read many articles that said you have to find a niche, you have to focus on one thing. Of course, being as hard-headed as I am, I didn’t listen. The result is a blog that has such a variety of topics it’s difficult to determine what it is about. To this day, I’m still trying to organize it by changing tags and categories. If you’d like, you can read when I first discovered I was off track here. *Note: This is really only important if you are planning on turning your blog into a business. If that’s not the case then you can have a blog with as many different topics as you like. However, if you are planning on turning your blog into a business, it’s not only important to define your niche for your blog and/or business, it’s equally as important for your social media platforms as well. Make sure you post content that will attract the right audience, otherwise you will end up with the wrong followers. If you end up with the wrong followers, they won’t care about your blog posts. Also, they definitely won’t buy anything you might decide to sell. Some of their biggest problems and/or challenges? What is it that they actually need? The answer to these questions will help you decide what to share on your social media platforms. Don’t make the mistake in thinking that your target audience is “everyone.” It’s a trap to believe that you will gain more traffic by being everything to everyone. It’s beneficial if you narrow your niche and focus on a specific group. As I said earlier, this is only important if you plan on making a business out of your blog. If this is not the case, you can stop reading now. Your niche will also help you to decide which platform you might want to use. You don’t really need to be everywhere! Where is my target audience hanging out? Is my target audience is on Twitter, but not on Pinterest? If so, invest your time and energy into creating a great Twitter strategy and skip out on using Pinterest. You need to be on the platforms that your target audience is using so you have a better chance of reaching them. Now, suppose everything is going well and people start to see you as an authority in whatever your niche is. People love you and they can’t stop raving about your blog’s content. You’re getting lots of interaction on your social media posts. Is it all gravy from there? Not really. It would be in your best interest for you to think beyond your own content. You still have to create content on your blog. But when it comes to social media, it’s not just about you. You need to share quality content from other websites that might interest your target audience as well. Don’t let the fear of promoting your competition get in the way. What you will actually be doing here is showing your followers that you are a source valuable information. All because of the content you’re sharing on social media. The next time you post on your social media platforms consider posting interesting stuff that you have read. Most likely, your audience will like this same content. Try posting some tips and tricks that would help your audience out. By doing this, your followers on social media will regard you as an authority figure. What is social media anyway? It is supposed to be a place to be social right? So, think of this the next time you absent-mindedly share content nonstop. Remember to use these platforms as a way to connect. Try to build relationships with your followers. Don’t just simply post your updates and call it quits. Try to see what other people are talking about. Comment on updates other people have posted. Ask questions and encourage your audience to respond. Engagement is essential in helping people to get to know you and to like you. Last, but not least, you have to be consistent. If you skimp on your social media updates, you risk losing followers. However, it’s inevitable that you’ll forget to post sometimes. No one’s perfect. Just make sure to pick back up the next day. But, always try to remember. In order to maximize your success on social media, you have to strive to be consistent with your posting schedule. Try not to skip a day!